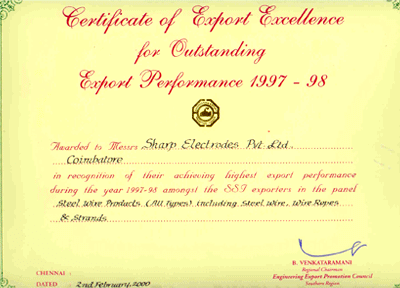 Awarded for achieving highest export performance during the year 1997 – 98 amongst the SSI Exporters in the panel Steel Wire products (All Types) including Steel Wire, Wire Ropes, and Strands. 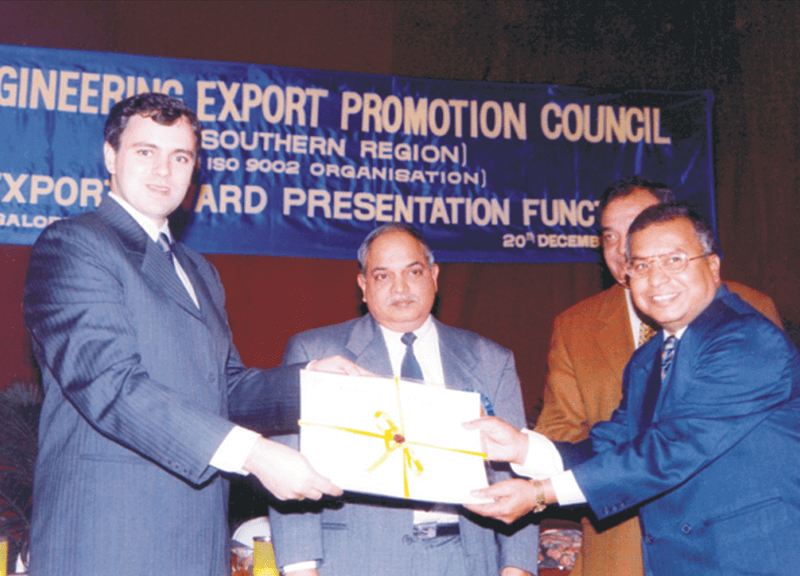 Awarded for achieving highest export performance during the year 1998 – 99 amongst the SSI Exporters in the panel Steel Wire products (All Types) including Steel Wire, Wire Ropes, and Strands. 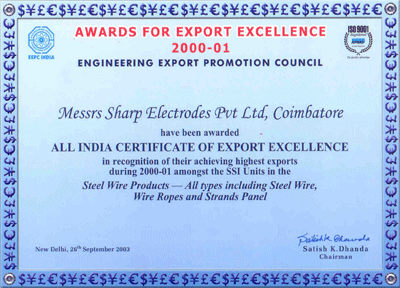 Awarded All India Certificate of Export Excellence for achieving highest export performance during the year 2000 – 01 amongst the SSI Exporters in the panel Steel Wire products (All Types) including Steel Wire, Wire Ropes, and Strands. 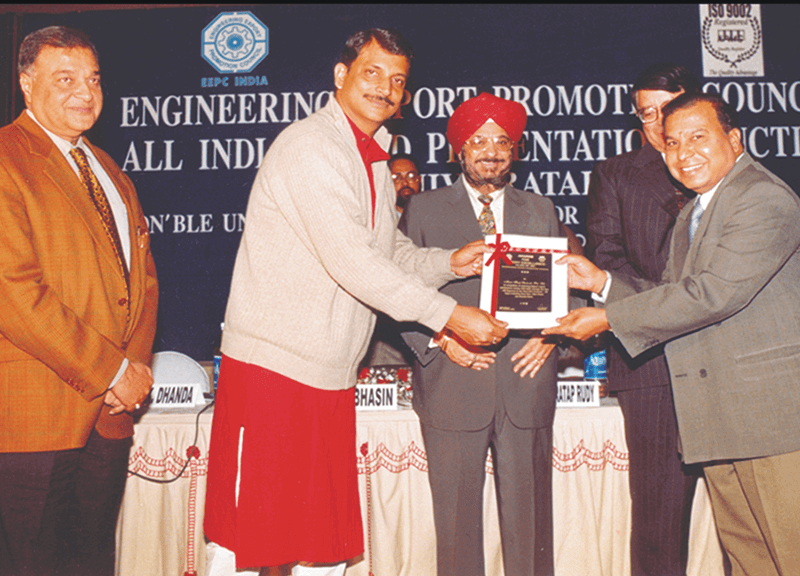 Awarded All India Certificate of Export Excellence for outstanding contribution to engineering during the year 2001 – 02 amongst the SSI Exporters. 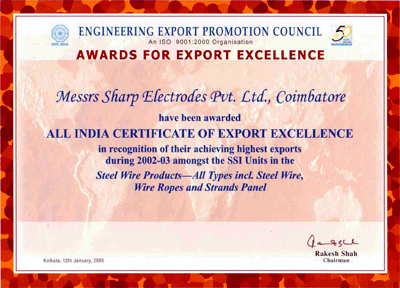 Awarded All India Certificate of Export Excellence for achieving highest export performance during the year 2002 – 03 amongst the SSI Exporters in the panel Steel Wire products (All Types) including Steel Wire, Wire Ropes, and Strands. 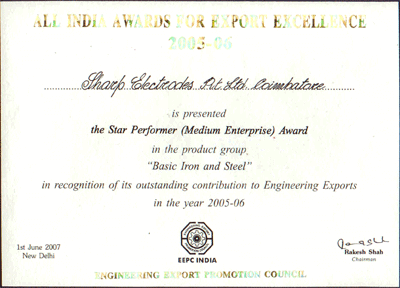 All India Award for Export Excellence – Star Performer (Medium Enterprise) Award in the product group of Basic Iron and Steel for outstanding contribution in Engineering Exports during the year 2005 – 06. 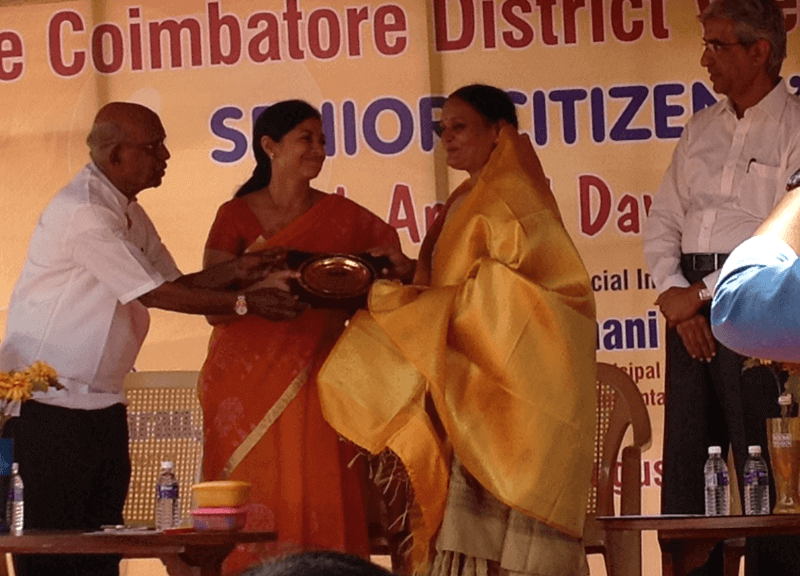 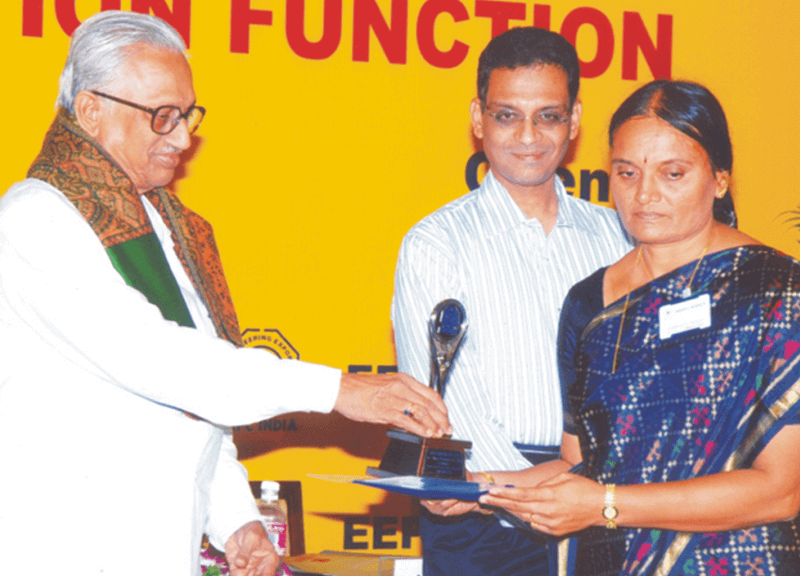 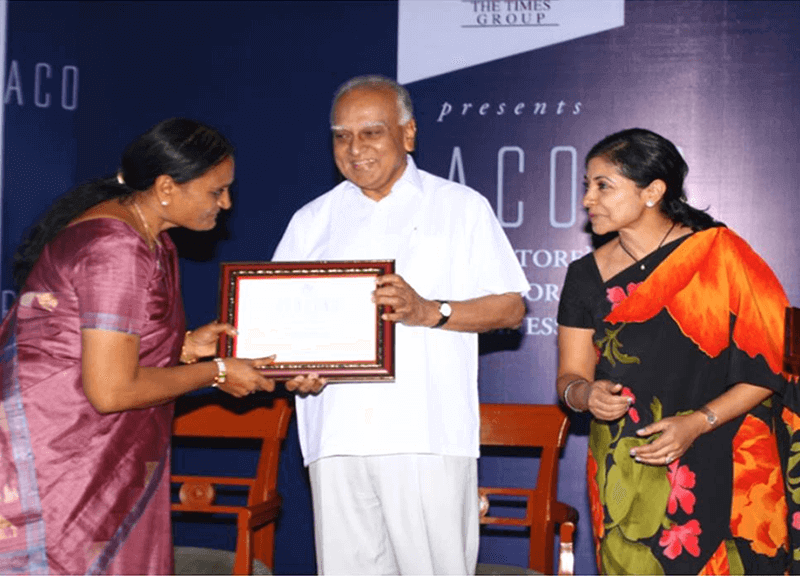 Coimbatore Management Association awarded BEST WOMAN ENTREPRENEUR AWARD 2014 to our Managing Director Ms. J. Mohanasundari. 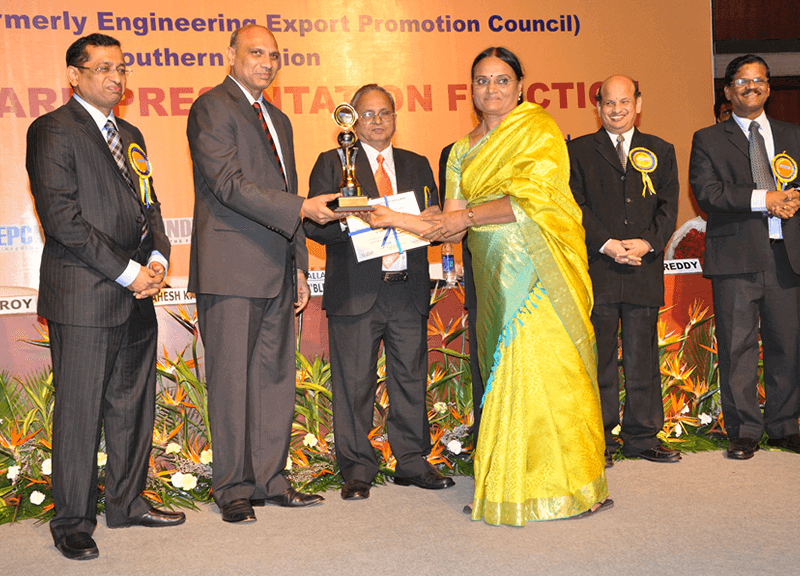 Awarded for Outstanding Contribution to Engineering Exports during the year 2010-11. 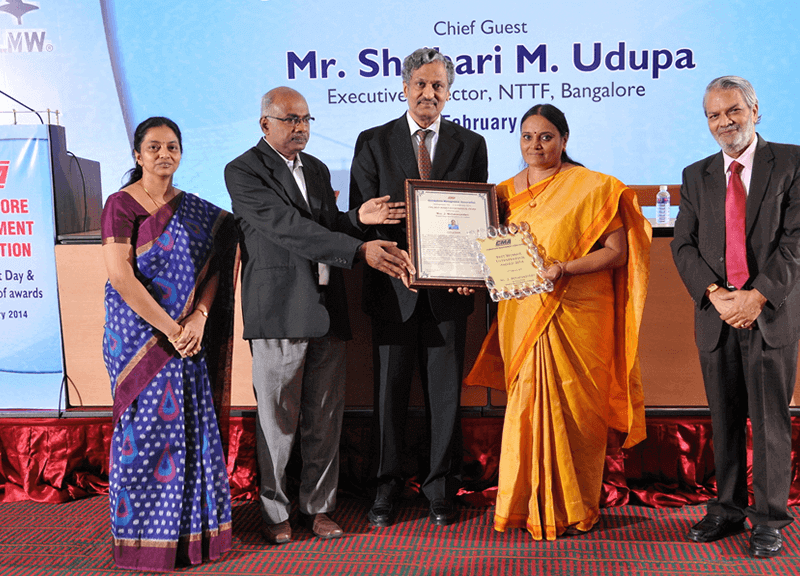 Star Performer Award for meritorious and outstanding contribution to Engineering Exports for the year 2013-14 received on 25th December 2015 from His Excellency, Shri. 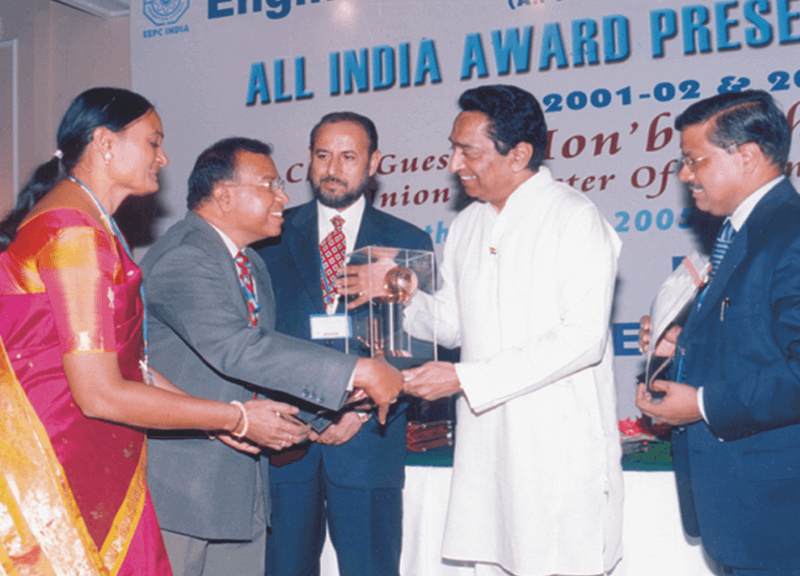 Vajubhai Vala, The Governor of Karnataka. 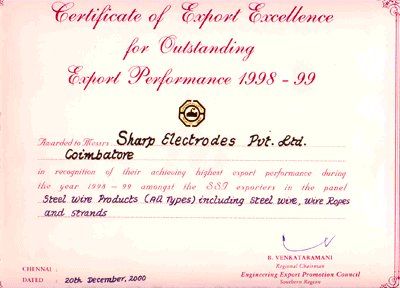 Awarded All India Certificate of Export Excellence for achieving highest export performance during the year 1999-2000 amongst the SSJ Exporters in the panel Steel Wire products (All Types) including Steel Wire, Wire Ropes, and Strands. 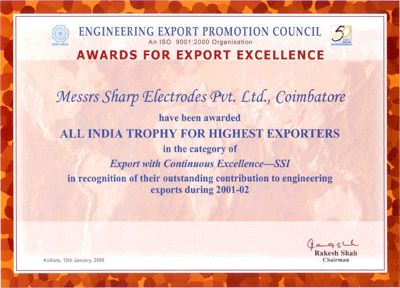 All India Trophy For Highest Export Continuous Excellence for 2001-02 & 2002-03. 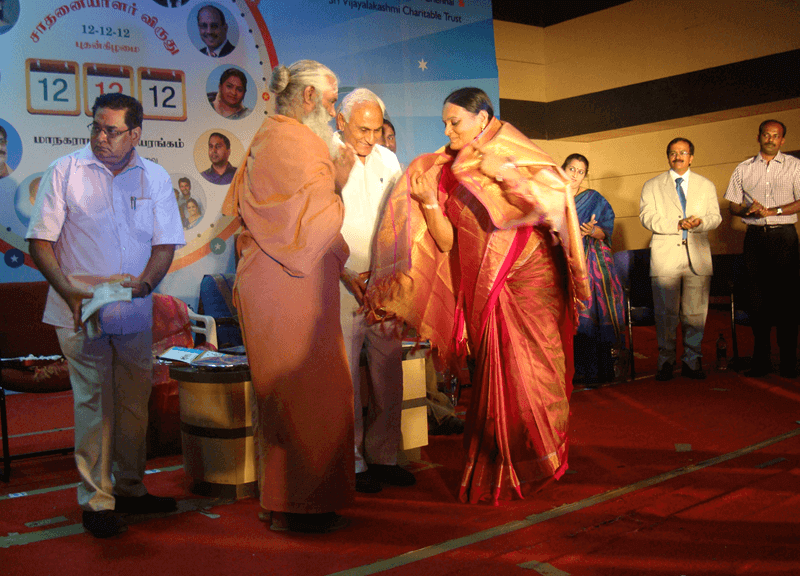 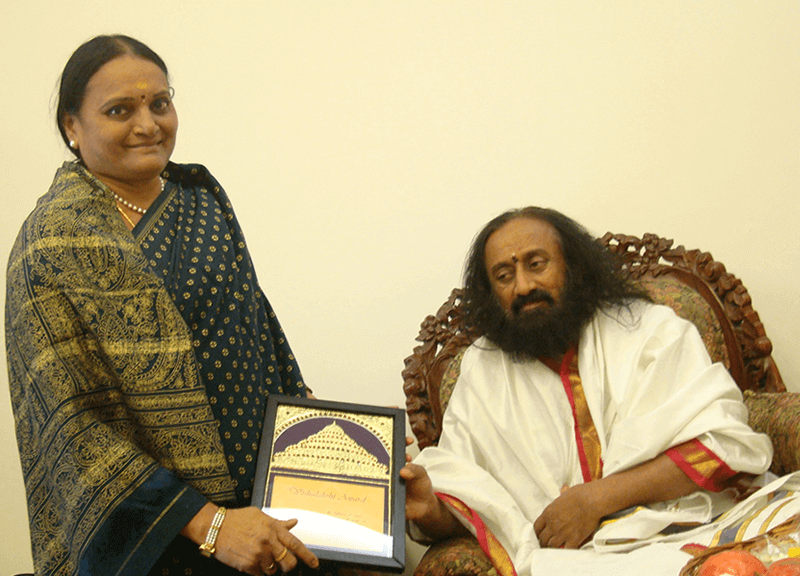 Awarded VISHALAKSHI Award during the International Women Conference from the Art of Living Foundation for spreading the knowledge of YOGA and Meditation in Tamilnadu. 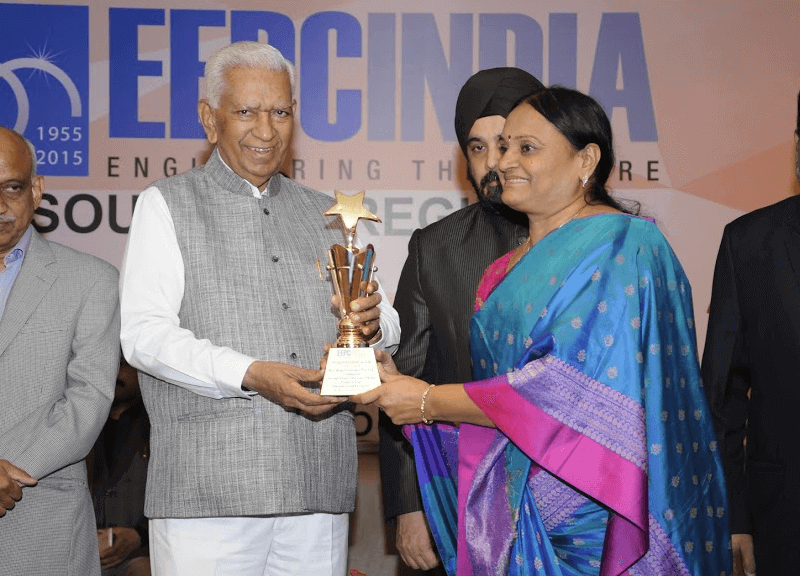 Our Managing Director Ms. J. Mohanasundari received the BEACONS Award from The TIMES Group for her exemplary commitment and impactful positive contribution to TamilNadu. 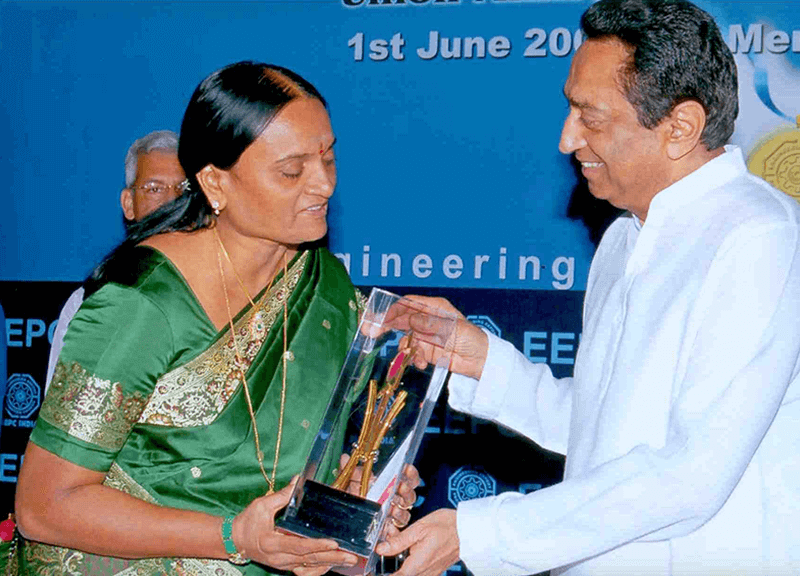 PAN INDIA AWARD received from Honourable former Prime Minister Shri. 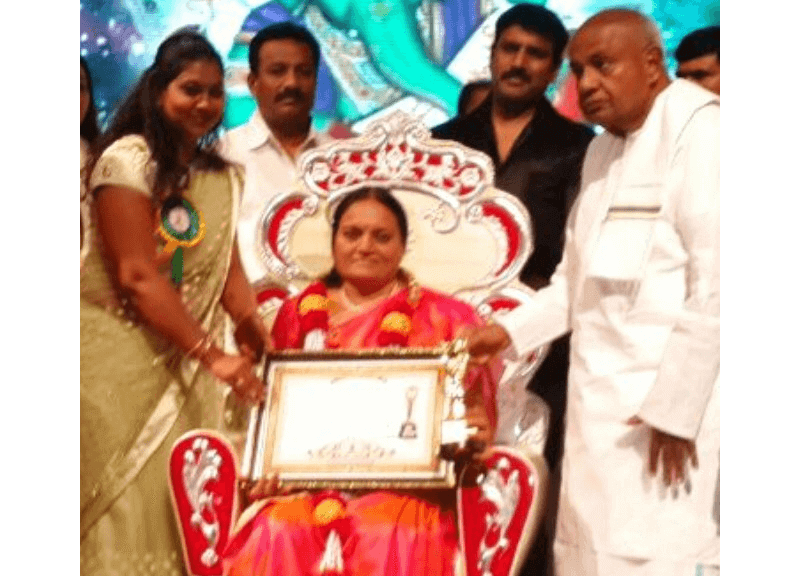 H.D.DEVE GOWDA. 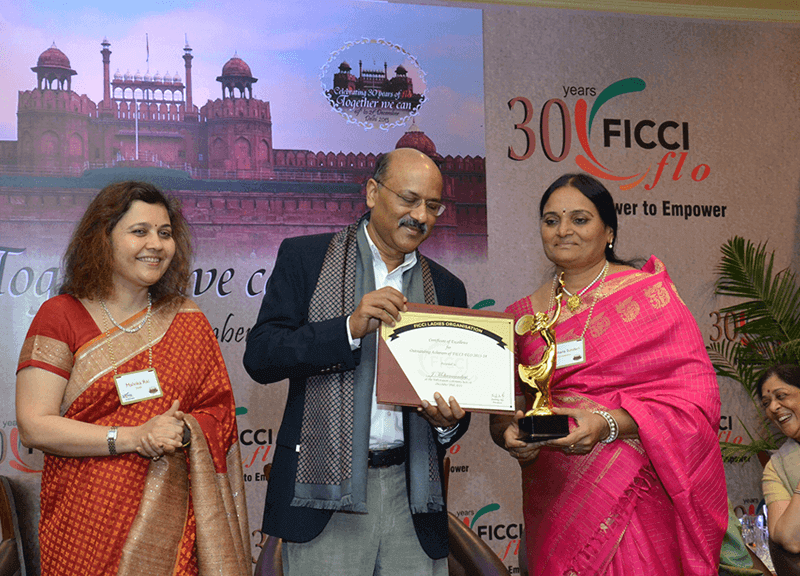 Awarded Certificate of Excellence for Outstanding Achievers of FICCI – FLO 2013 – 14 at the Felicitation Ceremony held on December 20th, 2013. 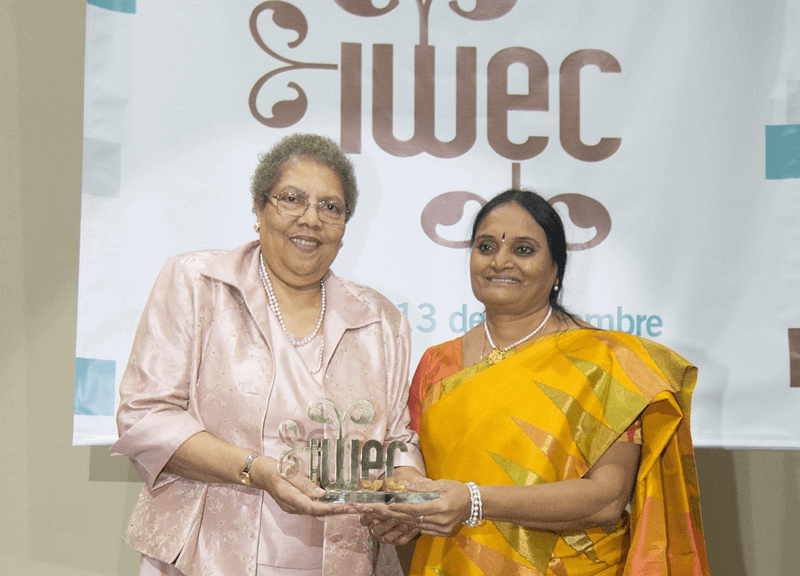 Received International Women Entrepreneurial Challenge Award, IWEC 2013 from Chamber of Commerce and Industry of Lima, Peru, South America. 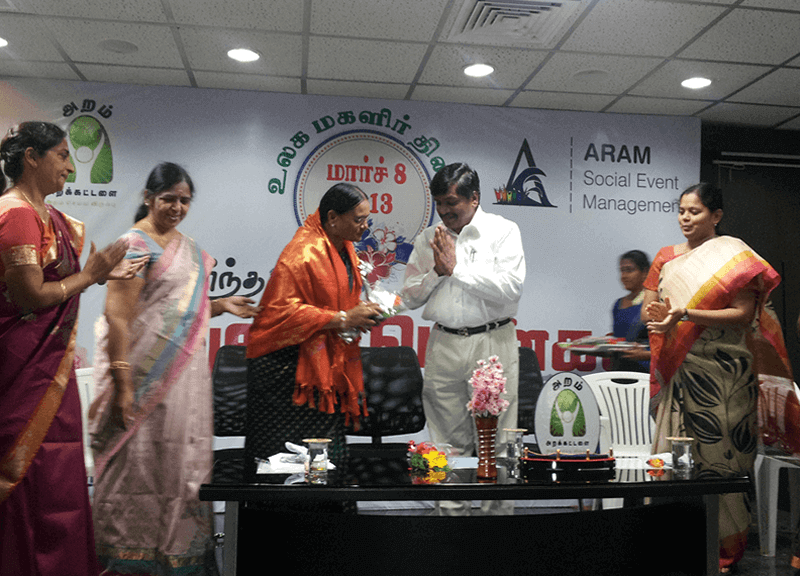 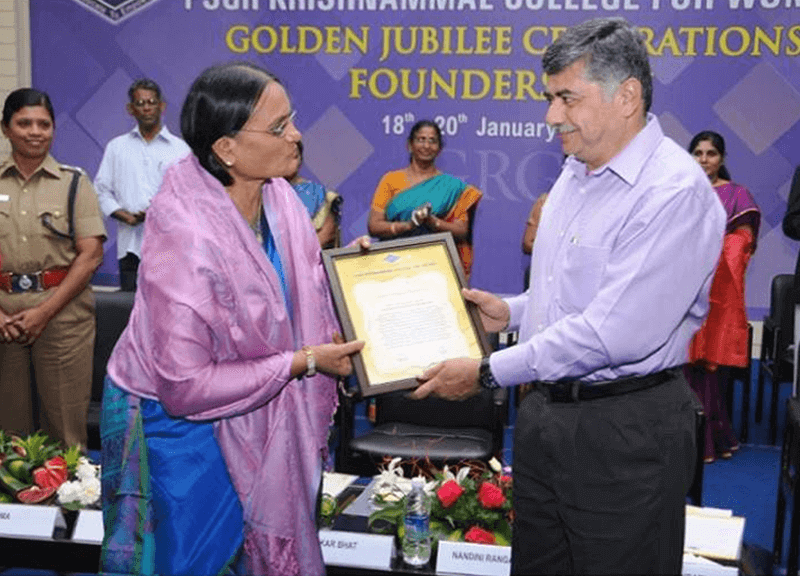 Our Managing Director received A LIFETIME ACHIEVEMENT AWARD on 12-12-12 from Press & Media, PAN India Foundation, Chennai & Sri Vijalakshmi Charitable Trust, Coimbatore. 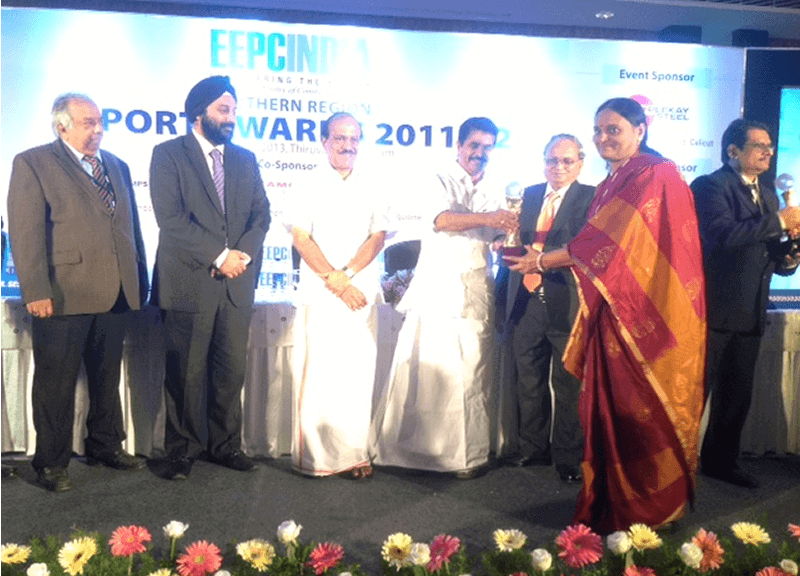 Award received at the Southern Region Export Award Function at Thiruvananthapuram on 24 September 2013.